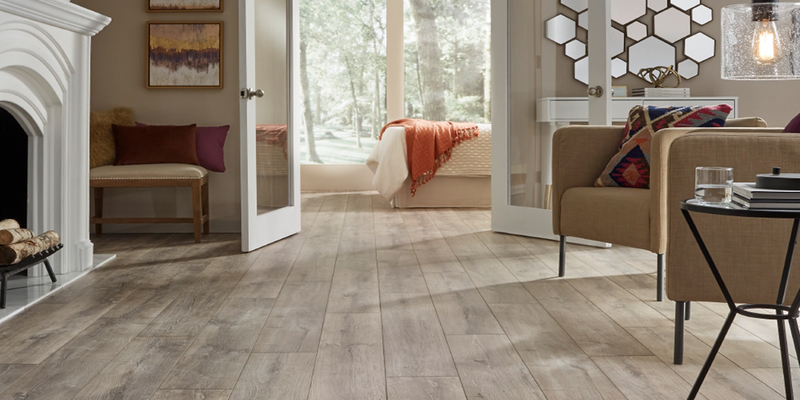 Mannington laminate flooring provides the traditional appearance of hardwood, as well as the sophistication of porcelain tile in this easy-to-clean, damage-resistant form. The design of these impressively realistic floors is made possible by Mannington�s exclusive production technology that creates high-definition texturing and embossments, allowing for a more authentic look. Mannington has manufactured various other fine quality flooring options, and these available laminate collections are intended to provide a flooring solution for just about any taste. The Coordinations collection, for example, is a wood-look laminate that has the ability to accentuate rustic, traditional, and modern d�cor. The Revolutions Tile collection captures the elegance of authentic stone tiles with the durability and easy care of a laminate floor. 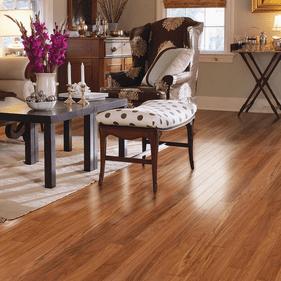 Mannington laminate floors look great in any space. These collections are also an excellent solution for those with pets and children. Residential and light commercial areas, especially those with high traffic, can be endowed with the warm, inviting characteristics of hardwood and stone with the strength and low maintenance that only a laminate floor possesses. 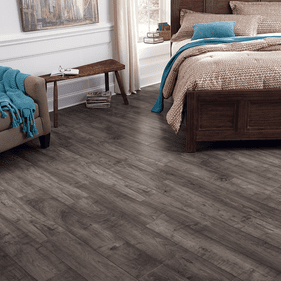 These beautiful Mannington laminate floors are perfect for an array of styles and tastes, and are a great way to accent the beauty of any home. 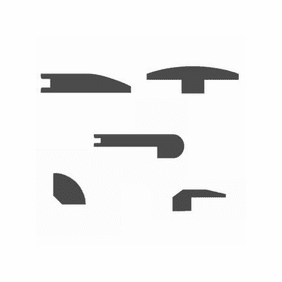 Also, be sure to check out the accessories that this manufacturer has to offer in order to make your next flooring project complete.